One of the best restaurants at the Lower East Side. 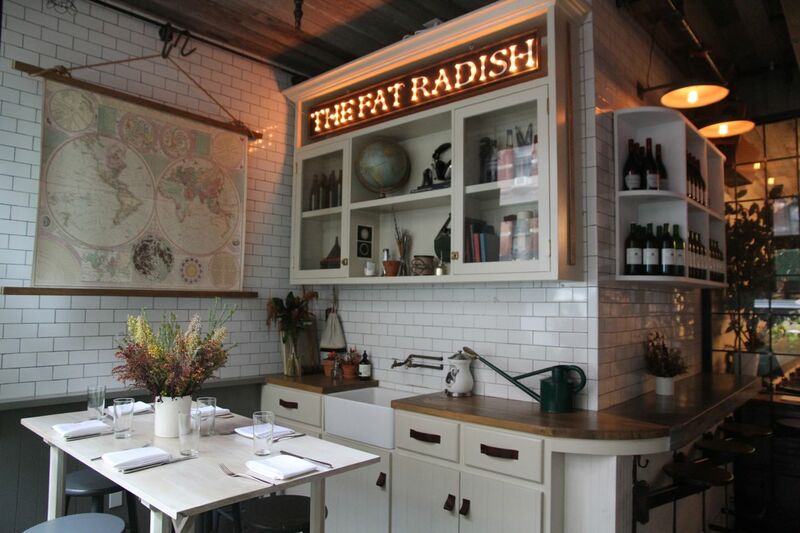 Chef Benjamin Towill and designer Phil Winser founded their farm-to-table restaurant The Fat Radish at a former Chinese sausage factory in 2010. Everything is perfect – from the furniture to the menu, which features a lot of vegetables: The Fat Radish Plate with brown rice, vegetables of the season and a lot of spices is a classic and the hummus is unforgettable, but won’t have to do without burgers and roasted chicken either. Towill designs his menu according to what he finds at the local Union Square Farmers Market. For lunch you don’t need to make a reservation, it is recommended for the evening, though.